With years of experience and an established reputation, the roofers at Buckley bring their skill and expertise to every job. Based in the heart of Flintshire, we are a well-established roofing company working with both domestic and commercial clients. 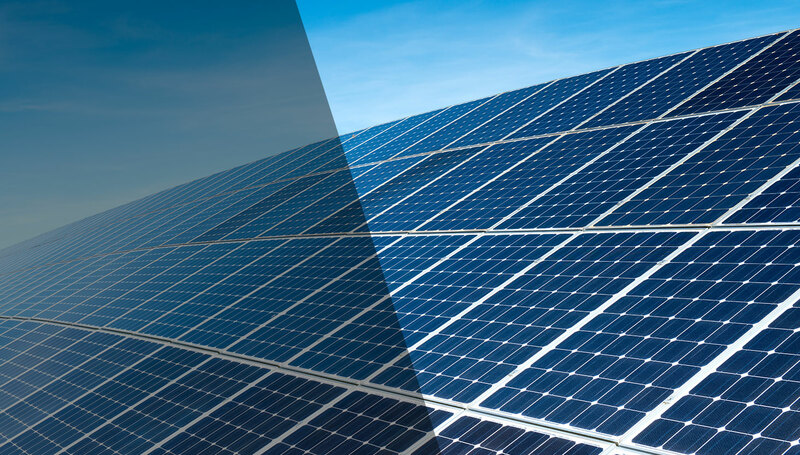 We offer a range of comprehensive roofing services to help you with everything from minor roof repairs to complete roofing system installation. 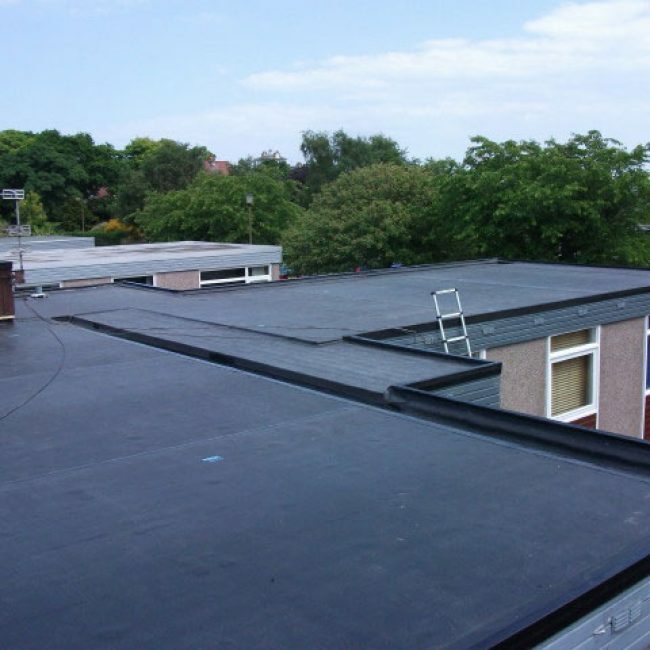 Flat roofs are more susceptible to leaks than sloped roofs, especially in the wet British climate. We repair and maintain flat roofs. 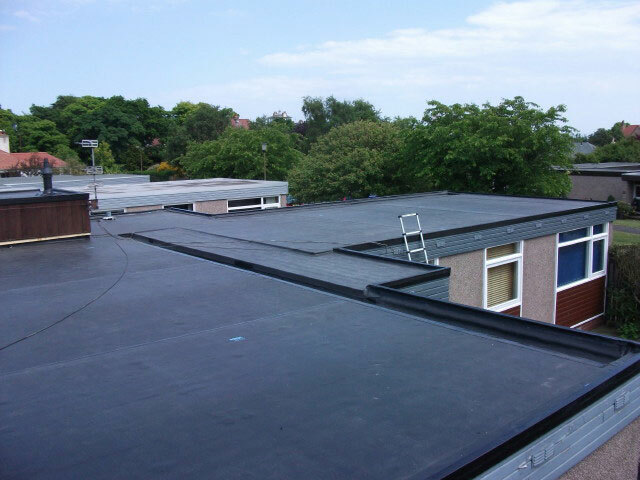 Our felt roofing service is designed to cater to the needs of both the commercial and private sector. For a hassle-free and reliable gutter installation service, get in touch with our expert team. 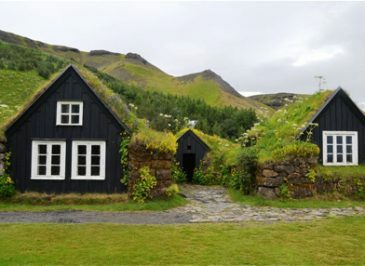 Do you need your Roof Repaired? If so we can help. Get in touch to claim your free survey. Fully Accredited Roof Contractors. Whether your need is for a roofing contractor to install a completely new roof, repair an existing roof, renew cladding, repair a chimney stack we can help. 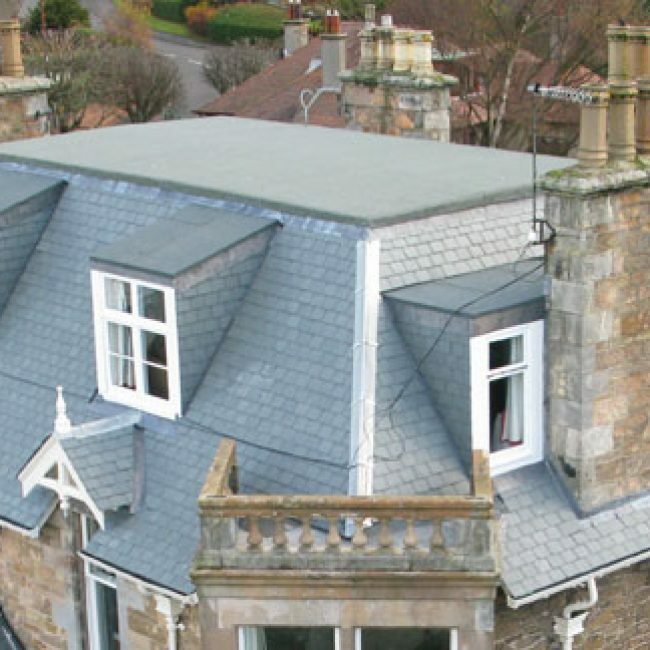 Slate Roofing Installation & Repaired to the Highest Possible Standard. 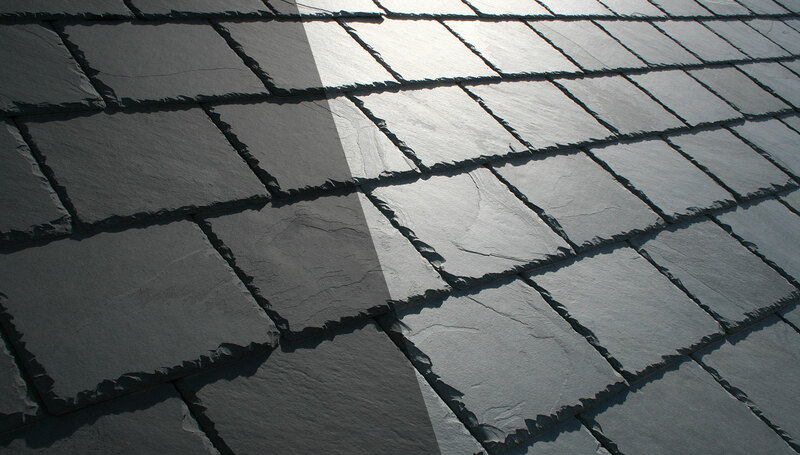 We offer a comprehensive slate roofing installation service. 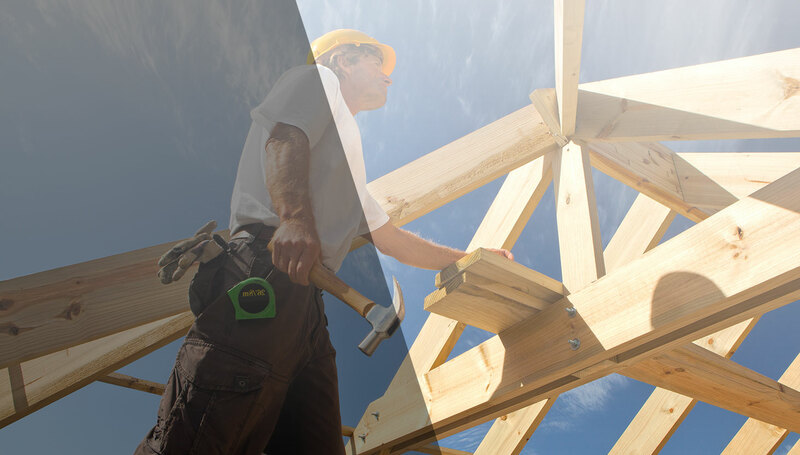 Roofing Contractors – Why Do You Need Them? 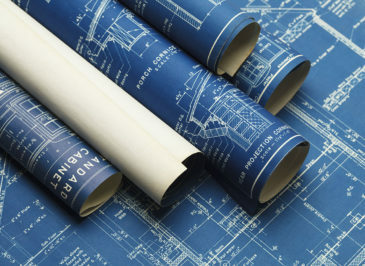 At Buckley, we combine traditional roofing skills with many modern products and techniques. As a result, we are able to offer our clients a wide range of professional roofing services. We specializes in all slating and tiling works from concrete tiling to diminishing stone courses. 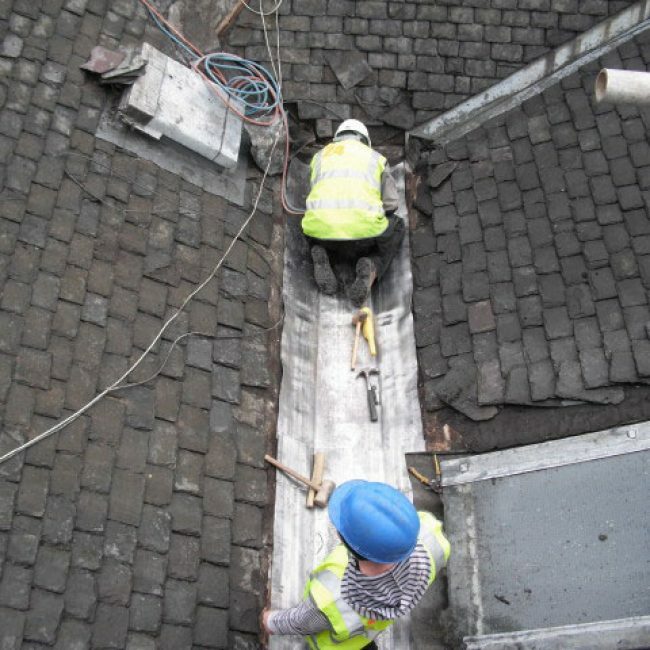 All works are undertaken in-house ensuring all the interfacing works between different roofing materials can be handled by one team of professionals. We can supply and fit aluminium fascias, soffits, gutters and cappings in a range of colour in aluminium. Well done guys, new kitchen roof looks great. The job was done quickly to a very good standard and no mess left. Would definitely recommend this Company. 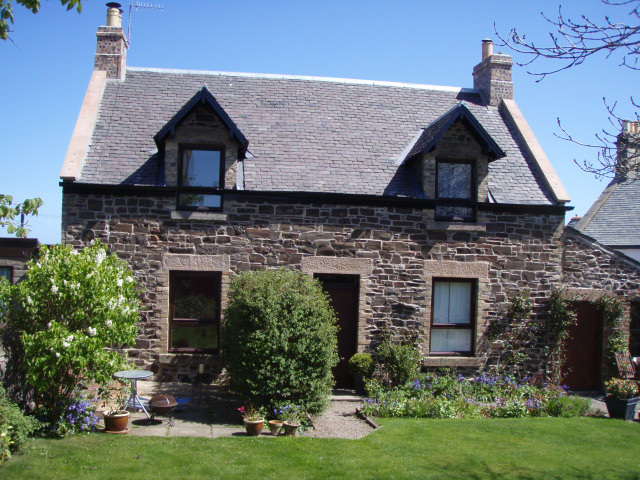 Work on re-roofing the front elevation of our property was carried out efficiently and tidily. 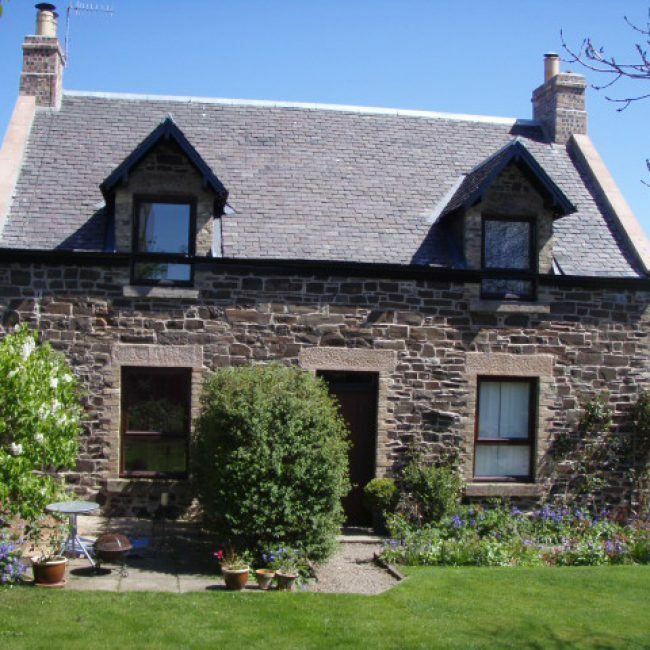 The roofer worked hard and we were pleased with the whole experience. Would highly recommend Buckley Roofing. Very professional company - They re-roofed my house, my garage, the guest house, the gymnasium, the outdoor bar and the pool room. Quality workmanship, very friendly workers. Buckley are very knowledgeable about all things, a pleasure to deal with and the price was very competitive would definitely recommend their services. Buckley Roofing Services are experts in the repair and maintenance of all types of roof coverings. 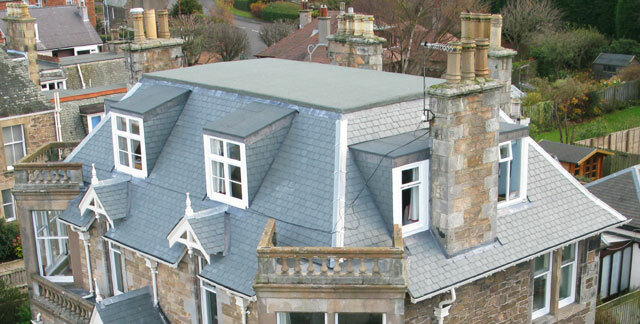 In most cases, a small repair to the coverings is all that is needed to prolong the life of your roof. 8 Nant Mawr Road, Buckley, Flintshire CH7 2PX Wales. 24-7 - 365 Buckley Roofing Services Are on call 24H a day 365 days a year! 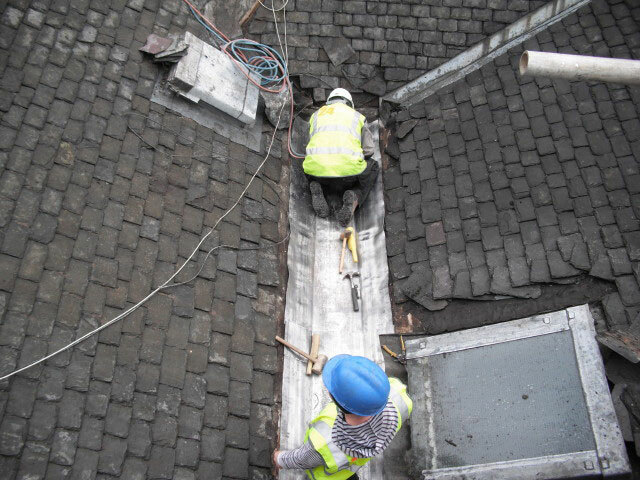 For emergency roof repair call 07885-671-810 24 hours a day, seven days a week.